So You Wanna be Good, Huh? Good and Evil. They are the basis for my entire world view. Don’t get me wrong, I understand that the world is complicated with several shades of grey, but underpinning everything for me is the idea that Good and Evil are at war, and one day, Good will win. I was raised with this concept from a very young age. 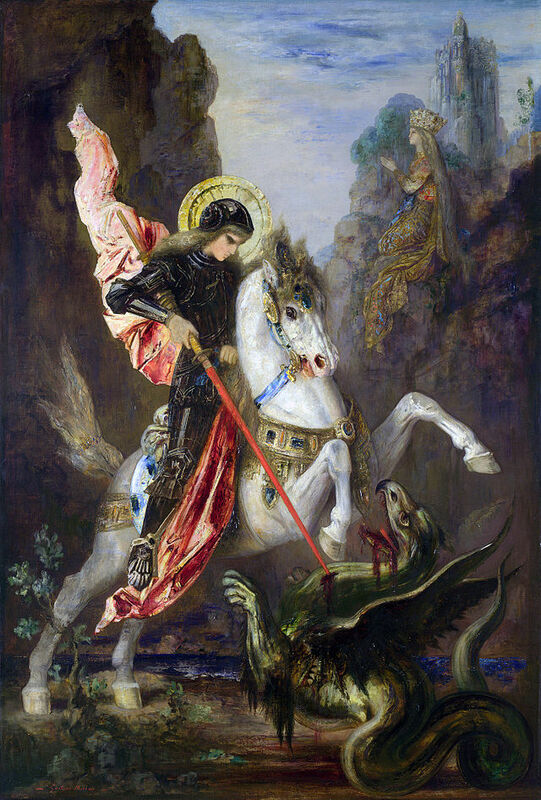 Princes (who are good) fight dragons (who are evil) and defeat them. Yet, as I grow older, I’ve had to wonder, what are these concepts? What is Good? What is Evil? Something deep inside me tells me they exist, but I haven’t had any way to describe them. A few months ago, my wife and I were watching Once Upon a Time, and one of the main characters, who is supposed to be a “good guy,” does something that she considers evil, and she loses a big part of herself. Her heart is tainted (literally, there is a black spot on it), and she is forever changed. Yet, the action she performed ultimately had a result that was good for the other characters. So, how do we figure out if an action is really good or evil? To begin, I don’t think it’s possible to figure out without faith. Without a higher authority, good becomes whatever the majority of people believe it to be (like modern democracy), and our goodness or evilness only exists in the eyes of the masses. The long-lived battle between evil and good will never end as long as someone disagrees with how things are turning out. So, for a definition of Good, I turn to God. God is Good. Not because of what he does, but because it is a part of him. If God is truly above all, then Good can’t be above God, and thus there cannot be any good apart from God. Evil, on the other hand, is the opposite. If God is Good, then evil, which is not-good, must be not-God. The further something is from God, the more evil it becomes. Now, these definitions are very intellectual and heady, and only serve as a place to start. If we really want to start viewing Good and Evil in our stories and our lives, we need to see what actions are truly embody Good or Evil. We are told the two greatest commandments are to love God and love our neighbour. We are to draw nearer to the source of all Goodness, and to serve other people. Everything else hangs on those two thoughts. If we continue to boil this down, we find Good can perhaps be better explained by one word: selflessness. Think of every “good” hero. They give up their normal, safe lives and risk everything to give others the chance to live. They set aside everything that they want because “Goodness” requires that they do so for the betterment of everyone else. We see this most beautifully as God became man and died for humanity. God, who has EVERYTHING gave this EVERYTHING up to become a human being, suffer horrendously, and DIE with the weight of every sin of humanity on his shoulders. He received nothing, and we gained everything. That is Good. Evil, then, must be the opposite: selfishness. Those we consider evil lie, steal, and murder for their own gain. They will inflict pain, suffering, and even death upon others in order to acquire what they desire, whether it be power, wealth, influence, or life. If we were to follow a path of selflessness, I believe we could safely say we were walking the Good path. If we follow a path that seeks only our own good, then I believe we walk the path of Evil. It pains me to say that I fear our society has begun to drift further and further from one that seeks Good. I will further explain my thoughts on this next week, but for now I want to open the floor for discussion. So, do you think Good and Evil exist in the world? If so, how do you define both of them. I’ve spoken about my beliefs, so let’s hear yours. I was formerly governed by the concepts of good and evil and have been on a long journey to identify with something that makes this existence more loving and beautiful. The categories of good and evil require a judgement, and that leads to division and hatred. Even if I am focused on improving my own actions and being cautious about judging others, my self-judgement is dangerous. If I consider myself evil, it may cause me to hate myself and if I consider my actions good, it brings a self-righteousness that is present in most believers. Everyone has their reasons for believing what they believe and taking any action. There are consequences to actions. And there are societal laws (like if you’re caught stealing). But to categorize stealing as evil is short-sighted. Just think of Val Jean’s character in Les Mis who stole the loaf of bread. He was in a rough situation. He stole bread (and some silverware) but went on to become a loving, giving man. Our difference of opinion make us while a humans. And I cherish your opinion to see good and evil and my opinion to think otherwise.